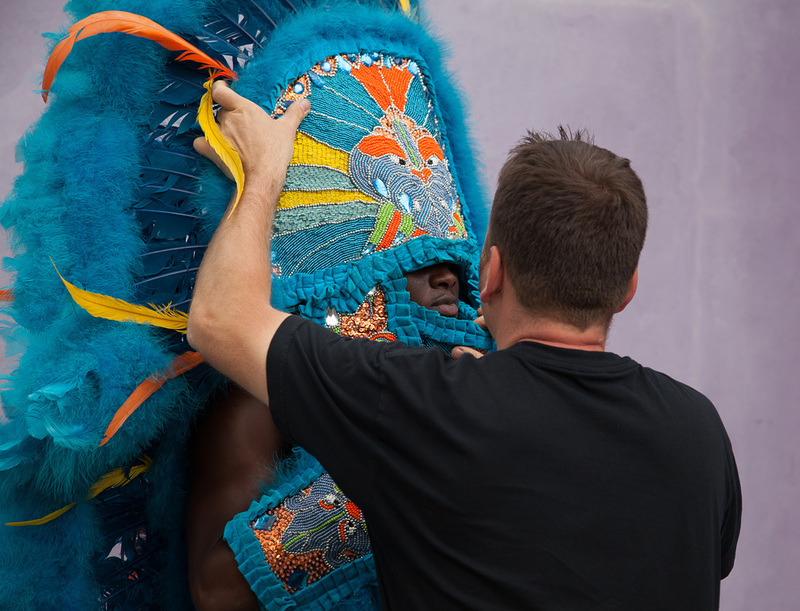 The Mardi Gras Indians was shot in April 2014, in New Orleans, USA. This time, the question was to deal with the urban background,as minimal as possible. No landscape this time, to highlight the complexity of the big chiefs, queens, spy boys and flag boys costumes. The project was to set up the portrait of each character in front of a colorful wall of the town, where the punchy colors of feathers would strongly match with these vertical backgrounds. This series is dedicated to Queen Kelly and Spy boy Dow from New Orleans.